Contents: Introduction - conversing with the reader; Why go on with these essays? ; We must remain readers; I do not love to be led by the nose … by authority; To forget one's own sharp, absurd little personality … and practise anonymity; In all writing, it's the person's own edge that counts; Society is a nest of glass boxes one separate from another; Conclusion - with this odd mix up of public and private I left off; Bibliography; Index. 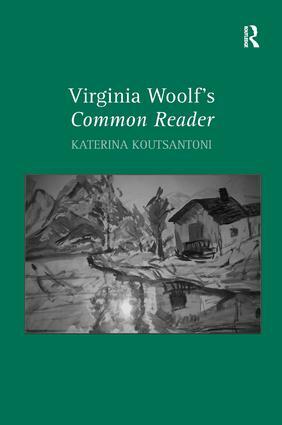 Katerina Koutsantoni holds a PhD in English Literature from the University of Birmingham, UK (2005). Her research interests span reader reception and dialogic theories, theories of selfhood and subjectivity, as well as genre theory. Katerina currently works as a Programmes Manager at King’s College London.